One of the most memorable experiences as a kid at the theme parks is seeing your first 3D movie. Everyone instinctively reaches their hands out and tries to grab the image the first time. 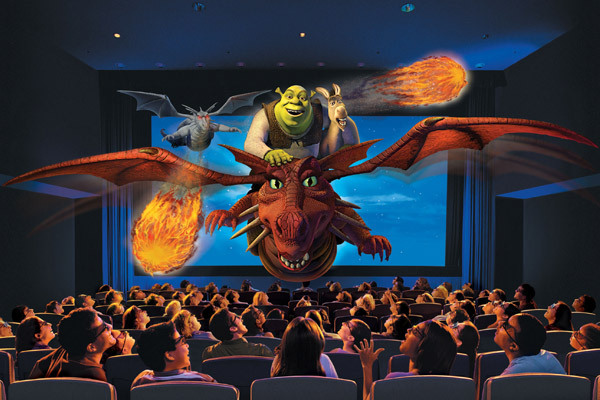 Orlando theme parks have some of the best 3D shows around for kids of all ages. And the shows here are more than just 3D – they're 4D, with extra-special effects to further immerse you into the film. 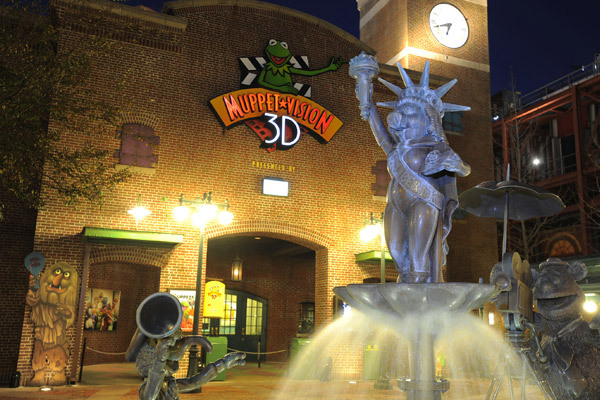 Here's our picks for the best 3D shows at the parks. Follow Donald Duck on a journey through classic Disney songs in this whimsical 3D spectacular, set in the Fantasyland Concert Hall. 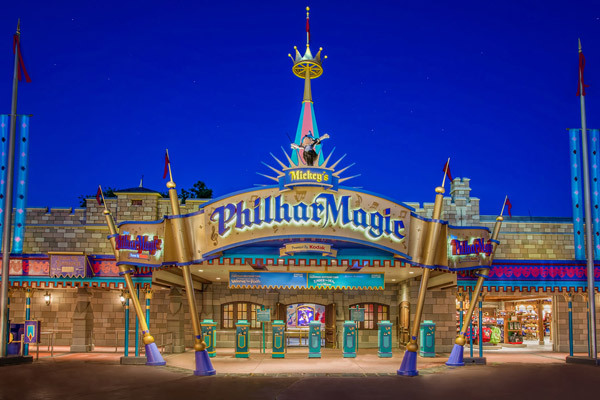 Mickey’s PhilharMagic is not only a technologically advanced show that utilizes three massive screens for a fully immersive experience, but it's also specifically designed to delight guests of all ages. While other shows may be too scary for the little ones, Mickey’s PhilharMagic offers moments to surprise younger kids like a 3D kiss from Ariel, The Little Mermaid, and the sweet smells of the feast from Beauty and the Beast's Be Our Guest. A highlight of the film is a flight over the city of Agrabah from Aladdin on a magic flying carpet. Kids will also love the cute humor as Donald gets into some mischief. It's a show the whole family can enjoy together. This show is all the "buzz" with the bees. It takes place inside the Tree of Life at the center of Disney's Animal Kingdom and features characters from the Disney-Pixar film A Bug's Life. After putting on your special bug-eye glasses you'll be welcomed as an honorary bug for the day, and see the world through their eyes. 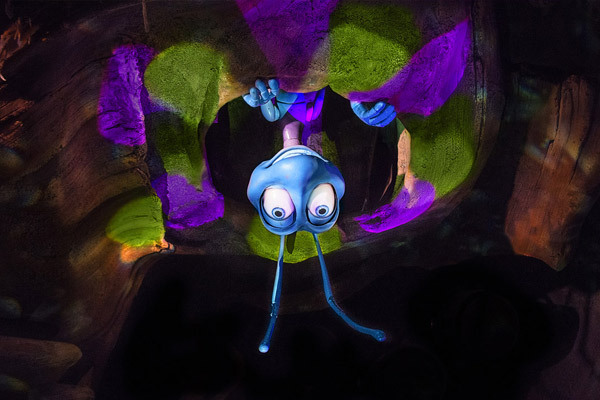 Join Flik, your master of ceremonies, as he introduces different bugs each with their own unique talents. You'll see a tarantula demonstrate his talent for throwing poison quills, meet an acid-spitting termite and smell an odorous stinkbug. The show features some full-scale animatronics and high-tech special effects, but can be a bit scary for the littlest grubs in your family. It's not only a fun film experience, but educational as well, showing us that it really is tough to be a bug. The Muppets welcome you to Muppet Labs for an open house. Dr. Bunsen Honeydew and his assistant Beaker are ready to show off their new high-tech 3D effects (just don't call them cheap 3D tricks.) Join Kermit, Miss Piggy and Fozzie Bear as they display their various talents while the cranky Statler and Waldorf offer humorous commentary from the mezzanine. The Swedish Chef mans the projection booth and an orchestra of penguins perform live in the theater. It's altogether a raucous good time like only the Muppets can put together, and the grand finale is explosive! Muppet Vision 3-D is classic Muppets at their best and the show utilizes so many animatronic characters, special effects and unique lighting that you'd swear it was being performed live right before your eyes. Put on your OgreVision glasses and get ready for an adventure in Far Far Away land. Shrek and Donkey have returned to save Princess Fiona from the evil Lord Farquaad (who is now a ghost). This all-original 4-D adventure takes place after the first Shrek film and before the second. It's a multi-sensory experience that includes moving seats, water, wind and mist so you really feel like you're part of the action. Shrek's adventure takes us from his home-sweet-swamp to a haunted forest and a spooky graveyard. Then our heroes ride on the back of a dragon to help save the day, all so Shrek and Fiona can finally get to their honeymoon and live happily ever after. The original stars of the Shrek films have returned to voice their iconic roles for the show. 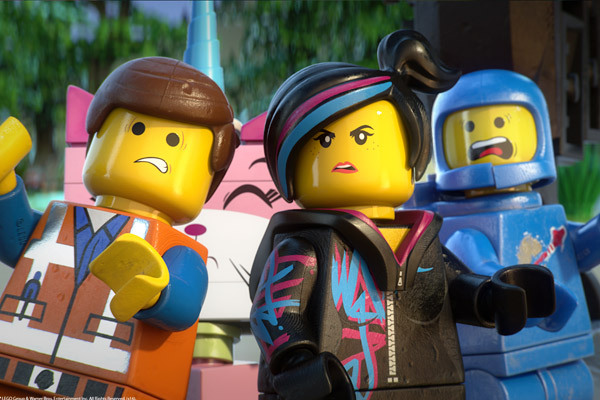 Emmet and his friends from The Lego Movie are back! Enter the park’s Wells Fargo Fun Town Theater on the red carpet for an all-new theatrical attraction. Risky Business is President Business' brother, and he's created a strange new theme park. Our heroes have been invited to the new park as special VIPs, but everything is not what it seems. They'll need to use their Master Builder skills to save the day. Join Emmet, Wyldstyle, Unikitty, MetalBeard and Benny (Spaceship, spaceship, spaceship) on this non-stop hilarious adventure. Fun 4D elements like wind, water and fog bring the larger-than-life experience off the screen and into the audience. Kids of all ages will love it and can meet their favorite characters in person after the show. Buy 2 Days Get 2 Bonus Days Free!